The use of advanced boatbuilding methods and materials should continue to grow once the recession ends and the marine industry has had some time to get back on its feet, according to builders and designers. 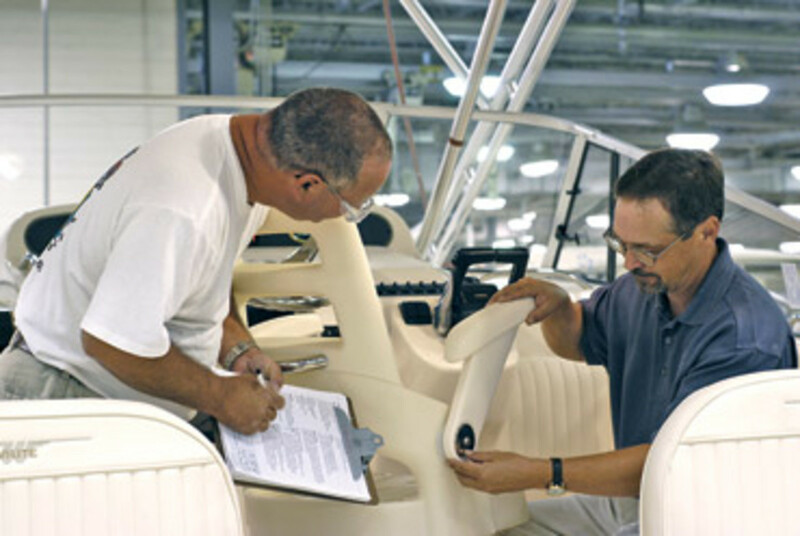 "The industry is in such tough shape now that those manufacturers who remain in business will be very cost-conscious and be disinclined to change materials and processes that they understand, and they will cost-estimate and engineer based on prior history," says Bruce Pfund, technical editor of Professional Boatbuilder magazine. "There are wonderful, innovative materials and processes that are out there, but they are both more expensive and unfamiliar. An industry in a recovery phase is more likely to stick with the known quantities rather than experiment." Rob Noyes, vice president of marketing for Knoxville, Tenn.-based Sea Ray, agrees. "Advanced composites are not going to make or break the industry right now," says Noyes. "The thought of budgeting for a project to develop advanced composites right now might not be the most prudent way to spend our research-and-development budget. Our research-and-development budgets are being used to design new products." The industry will more likely turn to new propulsion technologies to get people buying boats again as it recovers from the downturn. Both Volvo Penta and Cummins MerCruiser Diesel manufacture pod-drive systems with joystick control. Volvo Penta&apos;s IPS was introduced in 2005, while CMD&apos;s Zeus hit the market in 2007. Mercury married joystick technology and the sterndrive with the introduction of its Axius system in 2007, and Volvo Penta followed this year with its own version, the Sterndrive Joystick. "Joystick technology is something we have invested a great deal of our time and resources into, and it&apos;s a tangible, immediate benefit that will help sell new boats and get people into boating," says Noyes. Most manufacturers and dealers agree propulsion technologies ought to pump some excitement into an otherwise dreary market, but modern boatbuilding can attract attention, too. The industry needs to fire every weapon in its arsenal because once consumers are ready to spend, a flotilla of used boats at bargain prices awaits them. "What are we going to do to differentiate ourselves from the existing used boats?" 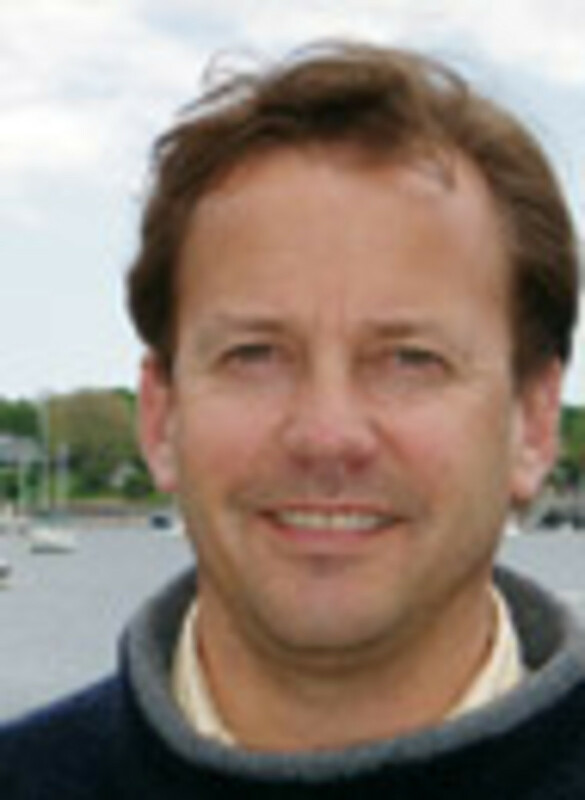 asks Mark Lindsay, co-founding partner of Boston BoatWorks. 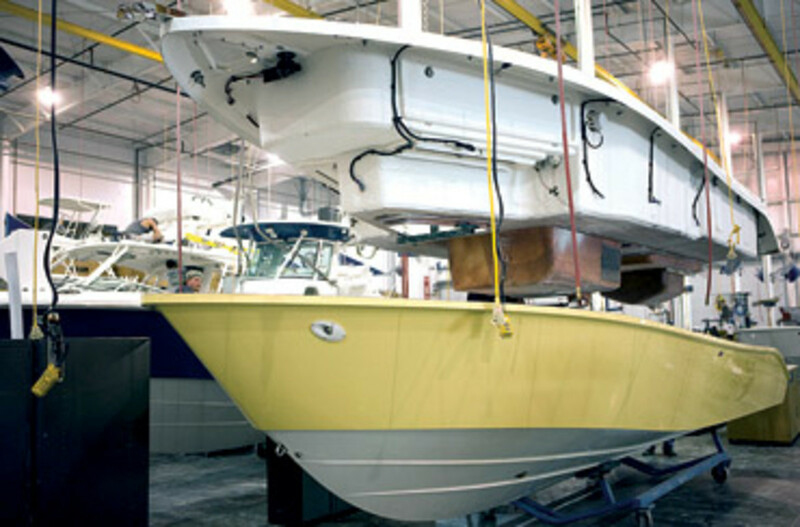 "Offering innovative products with innovative construction makes it much easier to sell boats. There&apos;s too much inventory out there already, at bargain prices. The only way is through innovation." Lindsay says Boston BoatWorks&apos; advanced building processes - resin-infused cored construction, for example - have played a major role in the company&apos;s relative success in these tough economic times. "We&apos;ve been fortunate," says Lindsay, whose company builds mJm cruising powerboats and has a long history of building high-tech sailboats. "We&apos;ve actually hired people. I&apos;m sure the reason is we have innovative products." Lindsay began using vacuum-bagging and epoxy resin 35 years ago to build racing sailboats. And after all those years, closed-mold boatbuilding is still evolving, he says. Boston BoatWorks is working on fiber orientation, panel thickness and the more efficient use of resin and fibers, he says. The builder uses a wide range of materials and processes, including resin infusion, wet pregs, resin transfer molding and vacuum- assisted resin transfer molding. "We&apos;re making refinements in all of these areas," says Lindsay. Some of the most recent and impressive boatbuilding technology has come out of Europe, says Pfund. On assignment for Professional Boatbuilder, Pfund traveled to the south coast of England to visit Green Marine, which manufacturers racing sailboats, commercial rescue boats and components for offshore oil rigs. "They are building 146-foot carbon fiber prepreg honeycomb-cored sailboats that they bake in a 150-foot oven at 180 degrees," he says. "Everything they do in their shops is high-temperature cured. They&apos;re also working with some very innovative materials besides conventional prepregs that I think offer a great deal." One of the materials and processes is called film infusion reinforcement. 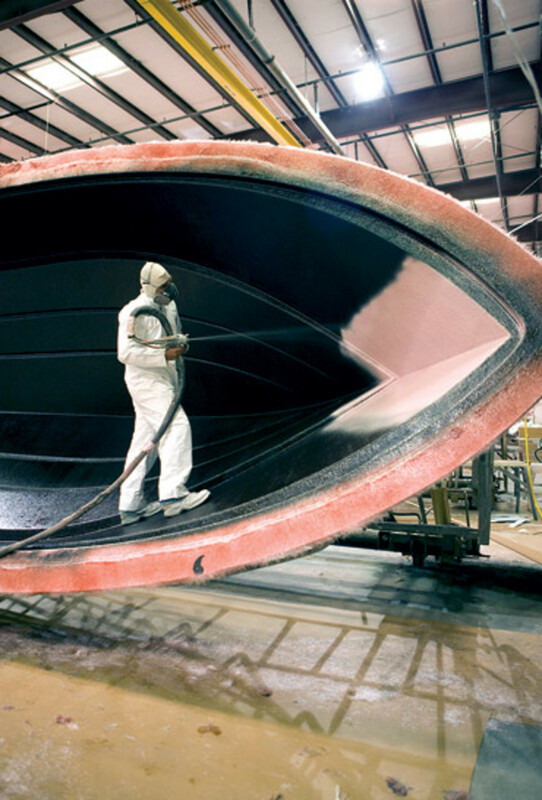 "For boatbuilders who use resin infusion, this is a very interesting alternative," says Pfund. "I see it as a material and process that could find its way into recreational boatbuilding." With film infusion, the resin travels just a fraction of an inch, compared to feet or even yards during resin infusion, says Pfund. A film-infused fabric is a "layer of fiberglass that looks like dry fiberglass on one side," he says. "When you flip it over, there&apos;s a cast film of epoxy resin attached to it - exactly the right amount of resin so that when it liquefies it wets out the fabric. You assemble a stack of all of these things, heat them up and draw a vacuum on it, and instead of having to travel - let&apos;s arbitrarily say 18 inches - in a conventional infusion process, the resin only has to travel a 32nd of an inch because it&apos;s [moving] through the thickness rather than across the surface." It&apos;s fascinating technology, but technology that production boat companies may not be turning to for some time. But even though most builders won&apos;t be using film infusion tomorrow, that doesn&apos;t mean they won&apos;t be taking advantage of other modern manufacturing technologies. "I think we&apos;ll see the improved quality in a larger share of the market," says naval architect Dave Gerr, director of the Westlawn Institute of Marine Technology. "And vacuum-bagging and resin infusion will continue to grow, just not right away. After the recession, builders will have limited resources and cash flow to invest in more advanced technologies and materials." Once things do begin to turn around, the industry needs to rise to the occasion, says designer Doug Zurn, president of Zurn Yacht Design in Marblehead Mass. "We have no choice," says Zurn, who designed the three boats in mJm&apos;s lineup, as well as yachts for Marlow, Lyman-Morse and Bruckmann. "The technology is there. Those who are not ready for change might build boats the same way, but eventually you have to think progressively to come up with new ideas and technology." Zurn believes post-recession consumers are likely to be smarter. "People who buy will spend more time researching and getting to know the boat before they buy it," he says. After the economic downturn of the early 1990s, the industry was able to "crank it up a notch and pay more attention to how to build a better boat," says Zurn. "We put more thought into it." For those builders who do want to raise the manufacturing bar, the building materials to do so will be readily available, says Peter Van Lancker, president of Hunt Yachts in Portsmouth, R.I. "Prior to the recession, composites were hard to come by," says Van Lancker. "The wind-power industry was consuming a lot of the composites, and China became a player. But now availability should be up." Higher fuel prices might motivate some builders to use advanced composites to lighten their boats and improve fuel efficiency. "We really need to begin to face the fact that fuel prices will continue to rise," says Van Lancker. Plus, construction processes such as resin infusion are better for the environment and less harmful to employees than conventional open-mold methods. Hunt builds its new 52-footer with resin infusion and cored laminates. "When you&apos;re talking about a 52-foot boat, [the reduction of] weight really matters," he says. "It makes a difference, so using high-end composites makes sense." But lighter isn&apos;t always better, says Bill Sweetland, a salesman at Atlantic Boat Company in Brooklin, Maine, the builder of Duffy boats. "When the weather turns sour, a boat that has some mass to it, that has some weight to it, is going be a lot more comfortable in the water than a lightweight boat," says Sweetland. "Lightweight boats have a tendency to be corky. "If you spend a lot of time offshore and there&apos;s a possibility of running into things that are floating out there, a boat that is built light is going to be more susceptible to damage than a boat with more material in it," he adds. If companies don&apos;t have the resources to upgrade production practices and materials, they can carry out some simple procedures to improve their boats, says Pfund, a composites and coatings expert and president of his own consulting business, Bruce Pfund/Special Project LLC, in Westerly, R.I. "If boatbuilders would just read and follow the directions on the can of the various products they use, [the result] would turn out a whole lot better," says Pfund. Also, builders must do their homework if they are going to use core materials in sandwich construction, says Pfund. "In my opinion, all core material should be vacuum-bagged - period, the end," he says. "When you lay up a single-skin boat, you can see whether there are air bubbles, whether you need more resin, if there&apos;s too much. The bond line in between each of the layers is inspectable. 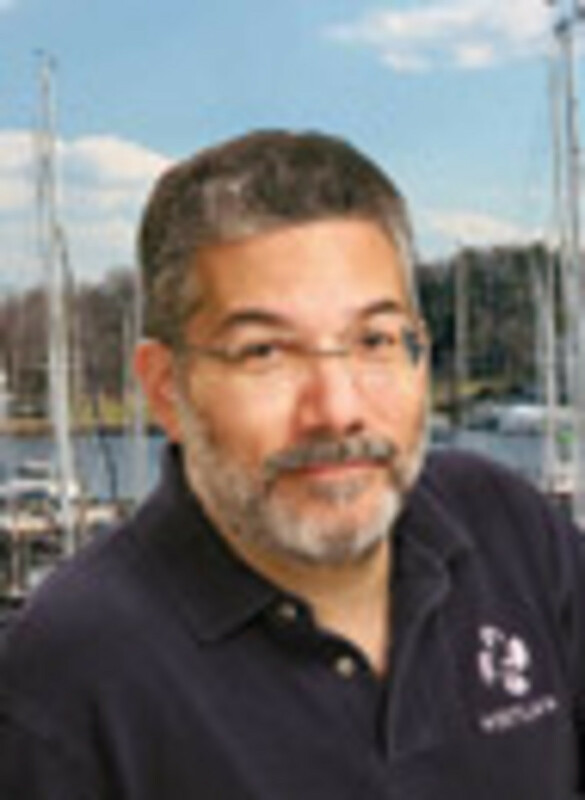 The minute you start using core materials you have a &apos;blind bond line.&apos; And there are some inherent problems in the way boats are built which cause core bonding problems if you don&apos;t vacuum-bag. One example might be where plies of fiberglass overlap." The overlap creates a "cliff" that the core passes over, creating a potential water passage, says Pfund. "The different cores react differently to the presence of water, but the concerns of cores that are incompletely bonded are mechanical and engineering issues and water intrusion." And penetrating the core to mount hardware - stanchions, through-hulls, rope clutches, etc. - must be done properly, says Pfund. "Instructions on how to make core penetrations have been available from all the core manufacturers since the 1970s, and many large and renowned manufacturers have not adhered to those recommended practices," he says. "Terrible problems have resulted. In this case, read the directions on the core box."